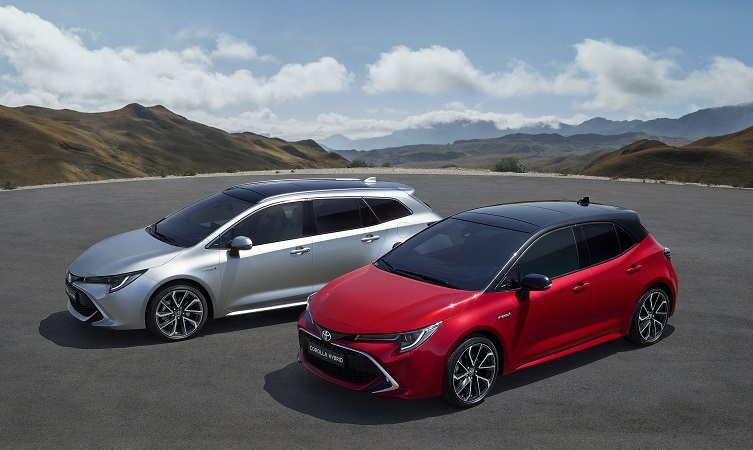 The new generation Toyota Corolla Touring Sports has made its first public appearance at the 2018 Paris Motor Show, joining the Corolla Hatchback that was unveiled in Geneva earlier this year. 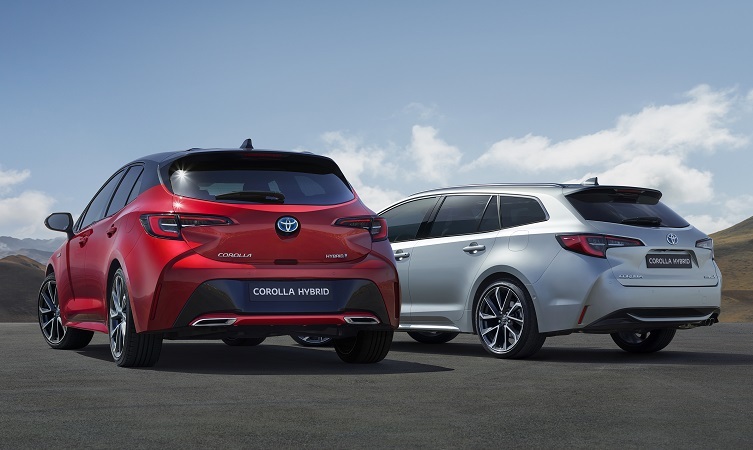 The all-new Corolla, built at Toyota’s Burnaston factory in the UK, has a more dynamic look with stronger differentiation between the compact, sporty hatch and the sleek, refined Touring Sports wagon. This estate body style, created and developed in Europe, is a key model for fleet sales, commanding a growing share of the market. Toyota has more than 20 years of hybrid technical leadership and has amassed more than 12 million global hybrid vehicle sales – including 1.5 million in Europe. The 2019 Corolla establishes another landmark in its development of the technology with the debut of Toyota’s dual hybrid strategy, adding a new 2.0-litre self-charging hybrid electric powertrain to the range. 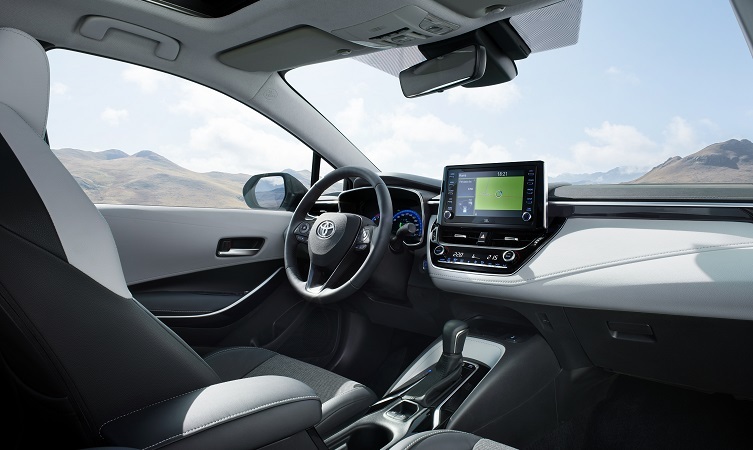 Toyota has responded to feedback from potential customers who want more power when driving a hybrid car, moving to offer its core models with a choice of two hybrid powertrains. One has all the established strengths of Toyota’s fourth-generation system, including improved responsiveness, more linear acceleration, fuel efficiency and a relaxing drive. The other builds on these qualities with more power on demand, effortless acceleration and more dynamic, fun to drive characteristics. Both the Hatchback and Touring Sports will be available with a single conventional engine option – a 114bhp 1.2-litre turbo petrol unit. The hybrid choices will be 120bhp 1.8 litre or 178bhp 2.0-litre systems. The 1.8 delivers everything customers have come to expect from a self-charging Toyota hybrid electric powertrain: quiet, intuitive and responsive performance with low cost of ownership and greater reliability than any conventional car engine. The system provides outstanding fuel economy and low CO2 emissions and doesn’t require connection to a power source for recharging. The 2.0-litre system rewards customers with all the benefits above while also offering a more energised drive, with more power and steering-wheel mounted paddle shifts. It allows Corolla to fully exploit the comfort, stability and handling qualities inherent in its new Toyota New Global Architecture (TNGA) GA-C platform. Over the next month we will publish four further blog articles that will take a closer look at the new Corolla’s design, comfort and convenience features, its dynamics, as well as its powertrains and performance. I have just ordered a new corolla excel and have just found out it’s a tyre inflation kitafter being told it had a spare wheel really disappointed , cannot even buy a spare because dealership say they will not fit in my model. Will the new Corolla hybrids offer a real spare wheel (even a space saver?) or will be be stuck with those awful tyre sealant kits? Thanks for getting in touch. Yes, the new Corolla will offer a real spare wheel as well as a tyre repair kit. Excellent to hear that the new Corolla hybrid will have the option of a spare wheel – that’s just increased the chances of a 2.0l hybrid hatchback Design or Excel being my next Toyota, especially if they’re available in that shade of light blue seen in publicity photos – thanks. I have an Auris and love driving it but I was going to get a new car just now i was didisappoint that the corolla is nno due till next year ,so I will not be buying another Auris as it will be out of date next year , sad to see it go. Thanks for your comments. Please keep an eye on our blogs and social channels for future model announcements and updates.